According to the poll, 37 percent of people wait to wash their jeans until they've worn them at least five times, while 16 percent of people wait until seven more more times. National Laundry Day is Monday, and a study from GE Appliances found that many people have some dirty laundry secrets. The company polled the public about their laundry habits, and found four "dirty secrets" from the laundry. 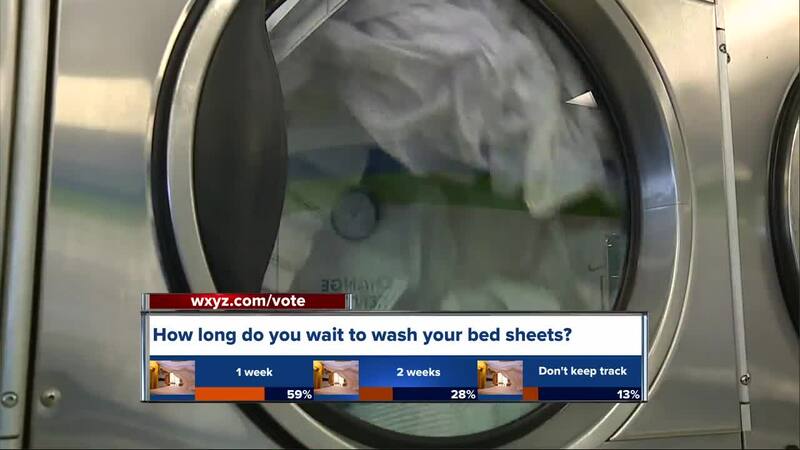 Also, the poll found that 50 percent of people will use their bath towel at least five times before washing it, and 14 percent admit to using it more than eight times before a wash.
On top of that, only 27 percent of people say they wash their bed sheets once a month, with 11 percent saying it's more than a month. Finally, the poll found that only 40 percent of people between the ages of 18 and 44 put their laundry away when it's done. “The biggest takeaway for us was that too many people think of laundry as a chore – but these days, it doesn’t have to be,” said David Wilson, Senior Commercial Director of Clothes Care, GE Appliances.